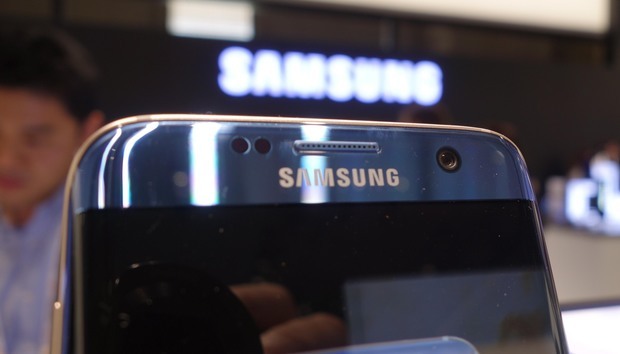 Samsung is in the midst of a fierce battle with Apple for smartphone supremacy. One of the ways in which the South Korean company looks to get an edge over its nemesis across the Pacific Ocean is by mining insights from its consumers through their social media activity. The company uses an analytics platform from Crimson Hexagon to gain both instant insights into its customers and detailed reports on the conversations they're having about its products, alongside those of its rivals. The findings help them tailor their marketing strategies. Samsung has worked on 15 projects with Crimson so far. They include social media analyses around the Samsung S8 phone launch, identifying iPhone and Galaxy S audience profiles to help attract customers from their rivals, It also ran a campaign to assess the differing sales of its OLED (Organic Light-Emitting Diode) and QLED (Quantum-dot Light-Emitting Diode) televisions. "We found out that people who are more interested in QLED TVs are more environmentally-friendly," says Amy Vetter, digital insights manager at Samsung Electronics. "We can see that on the affinities, and then we could actually market in the right place, or do display marketing, or target people due to that research." The insights also had a major impact on Samsung's promotional strategy for the S8 smartphone. Samsung had been pushing its voice assistant Bixby at the time of the launch, even though the product wasn't yet available. Crimson revealed that this was a major cause of contention for customers. "We could find that really quickly, and then we switched our marketing," says Vetter. "We stopped talking about Bixby and started more talking about the Infinity screen and the collaboration with [desktop dock] DeX." Using Crimson instead of a marketing agency has generated major savings for Samsung. "Probably for the 15 projects that we're doing, you're talking easily $200,000 to $300,000," Vetter estimates. "We got them effectively free." Crimson is used by more than 100 people in Samsung's European team. They can analyse in detail what people are saying about the company across blogs, forums, or social media platforms. Deep insights on trend sentiment feedback and purchase intents are uncovered by analysts using the vendor's ForSight tool. The platform provides demographic data around audiences, their interests and influences, and the meaning and intent of each social media post based on specific emotions. For faster insights, Samsung uses the HelioSight search tool to discover trends in social conversations, such as the key themes around the recent launches of Apple's iPhone 8 and iPhone X by searching for the product names. "It also works brilliantly if you're in a meeting and somebody asks you a question. You can just quickly type it in, and it's there. It's a get out of jail free card, I call it." Samsung previously used UK vendor Brandwatch for its social listening needs, but the software had a limited range of sources, with less news coverage, blogs, forums and reviews than Crimson provides. It also has strict data limits, which prevented Samsung from conducting effective research. "It meant that if we actually typed in and tried to look for Samsung, we would have blown our whole monthly mentions in less than an hour, so you can't really use that," says Vetter. "Whereas now, I can type in Samsung all day long because there's no data limit. We've got free range to do everything. Samsung evaluated a number of potential replacements. NetBase was a strong contender but didn't quite match Crimson's performance, while Sysomos and Pulsar had the same data limits as Brandwatch. They also only offered insights into the previous 30 days of data, a major issue for Samsung as they launch products every six months and want to make long-term comparisons. Samsung plumped for Crimson, and needed to implement it fast. The contract with Brandwatch ended in the middle of the Internationale Funkausstellung Berlin (IFA), Europe's biggest technology show. "We had two days to get up and running with Crimson. I had no previous social tool setup knowledge, and I could pick it up within that day," says Vetter. "It means you can democratise the data because you can get it across everybody, and because the setup is so easy, you can get those insights really, really quickly." Crimson also offers insights from emojis. For example, Samsung can identify if people are criticising their products through combining an emoji of a broken heart and a phone. Social commerce is another emerging area of analytics. Samsung is working with Crimson to understand when customers are moving from researching products to purchasing them, in order to offer them targeted information that could sway them towards Samsung over its competitors. Samsung will also be participating in the beta run of a new feature offering sentiment analysis of long-form content. Assessing an in-depth article that weighs up pros and cons has traditionally been out of the reach of sentiment analysis. Crimson's new tool is designed to automatically evaluate them for both an overall sentiment and the different insights that are revealed throughout. To get the maximum benefits out of Crimson, users need to be careful to use clean data and appropriate search times, as Vetter discovered when reviewing a home appliances advertising campaign starring TV personalities Katherine Ryan and Joel Dommett called "The Domestics". "They'd originally set it up with a keyword domestic in it," explains Vetter. "Well, then you've got domestic violence, you've got domestic arguments, all this type of stuff, which is completely irrelevant to that campaign. They originally did their first report with incorrect numbers, where they thought the campaign had gone brilliantly because they had over a million mentions. "It's not like website data, where you put a tag on it and that tag fires and you know it's been seen. It's complicated and you have to clean it up. That's one thing I would say really needs to be driven home in that."